That’s the thing that is hardest to remember in all the hubbub of the pending MLS decision, we weren't supposed to make it to this point in the expansion process. Cincinnati, and FC Cincinnati in particular, shouldn’t have been this far along at all. We now have fans that are eager to hear what MLS decides who didn’t even know there was an MLS four years ago. And that’s awesome. But our chances were so low starting off, it’s mind-boggling. The last time Cincinnati was fliritng with the idea of MLS was when our city was kicking around the idea of bidding for the 2012 Olympics. So yeah, it was a little far-fetched. Anyone else take off work on January 10th for an event that never happened? In fact, I think it’s fair to say MLS didn’t want us. They really didn’t. Why would they want a team in a small media market, in a state that already has an under-performing MLS team, which plays in a college stadium, and is in its third year? That doesn’t scream “pick me!” to a league that had 12 teams apply for expansion spots. Oh and we’d need to build a stadium in a city that despises stadium projects. And that stadium has to be built downtown. A downtown that has absolutely no space for a soccer stadium. A daunting challenge that would test even the most ardent optimist. You have to keep in mind MLS was actively politicking for St. Louis’s attempt to get public money for a stadium as a part of their bid. San Diego was also championed by the league. MLS told San Antonio to move from the NASL to the USL in an attempt to improve their MLS bid, and they did. I don't recall seeing Don Garber at a CPS meeting. On top of that, why would they pick Cincinnati when much larger media markets were bidding? Phoenix and Tampa Bay/St. Pete are massive markets that should have MLS teams. The Rowdies in particular are owned by a billionaire, in a massive TV market, have a stadium in place, a historic brand, and a natural rival for Miami and Orlando. And yet, they didn’t make it to where Cincinnati has. There was a point in time when FCC fans were really upset our club didn't do something like this. But here we are. Indianapolis, Charlotte, Raleigh, Tampa Bay, San Antonio, St. Louis, San Diego, and Phoenix all failed. Nashville was selected. Leaving Sacramento, Detroit, and Cincinnati. We're still in this thing, and that's incredible. Detroit would have the wealthiest ownership group in MLS, the largest media market not currently in MLS, and an NFL stadium that despite what the league may say could be home to a successful team. And Sacramento was FC Cincinnati before FC Cincinnati was FC Cincinnati. And yet neither one has been picked over Cincinnati just yet. And if they were going to, they would have done so already. We're still in this. Meanwhile, back at home, FC Cincinnati has gone out and hired a technical director, a position that wouldn't make sense if we were stuck in USL purgatory. And they just announced the hiring of a new Vice President of Communications with MLS experience and connections. Oh, and our roster is, honestly, about 50% of the way there to an MLS roster. So either this is the most expensive case of "fake it till you make it" or we can start reading tea leaves. So while waiting for an MLS announcement feels like trying to drive north on 75 at 5:15 on a Wednesday, remember it isn't supposed to be our announcement. It was supposed to be St. Louis's. Or Tampa's. Or Sacramento's. The only reason why we were able to enter the conversation in the first place is because our fans show up in insane numbers. 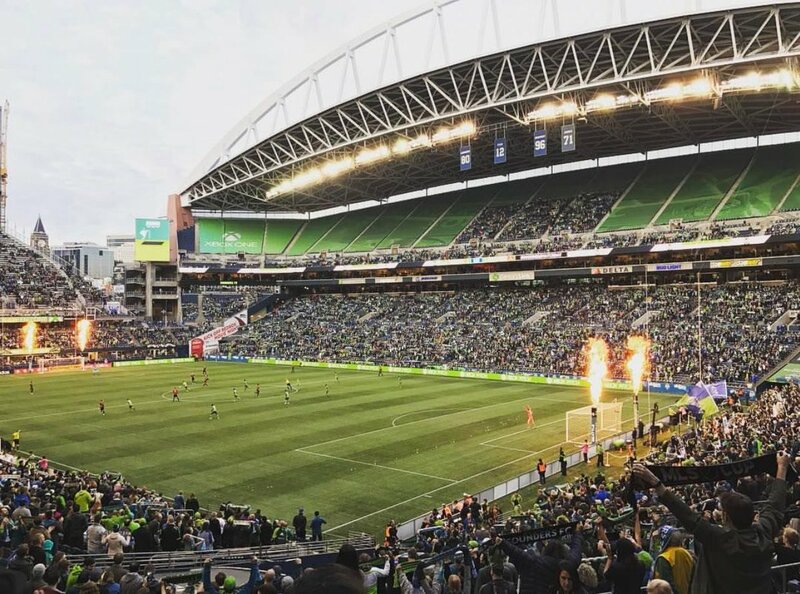 People can make fun of us talking about attendance all they want, but at the end of the day our attendance is why we'll probably have an MLS team and they won't. Haters gonna hate. So sit back and enjoy the ride. We have a roster that looks like they finally figured out how to play together in the second half against Pittsburgh. And we are through a tough stretch of the schedule. Now comes the fun parts. Burn the league, leave it all behind.